This individual product includes a lesson with teacher and student notes, handouts, and answer keys. A PowerPoint version of the lesson is also included for easier projection. 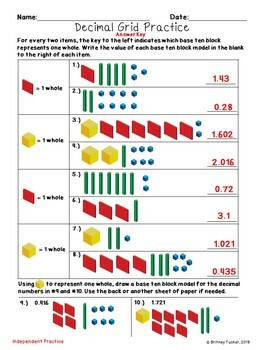 This lesson covers modeling decimals to the thousandths place using base ten blocks. You can use a document camera or similar device to project these notes onto the board. Alternatively, you may want to write or type the notes onto the board. A PowerPoint version is included in this product as well that can be displayed and filled in by typing into the file or writing on an interactive whiteboard. 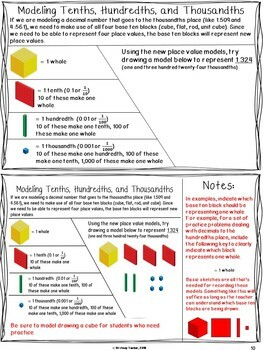 Students should copy these notes or follow along on a printed copy. Each teacher note page features notes before and after problem solving. Space for additional teaching notes is included on each page. Three handouts are included with answer keys. 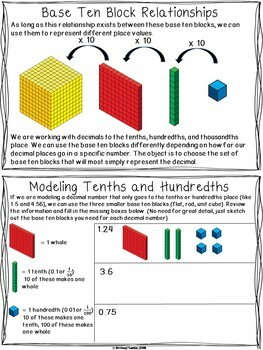 These can be used as quizzes or tests if you wish. 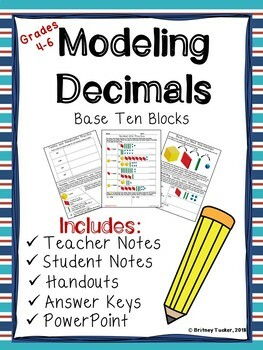 Look for more lessons in this series and a unit bundle coming soon!